Healthy sleep is now recognized as a vital element to our well being. A healthy and productive workforce can make a difference in lower healthcare costs and improved quality of life. Imagine employees eager to engage in innovation, enthusiastic about improving productivity, and energetic about their work! To have such a competitive mindset, employees need to feel and be healthy…and it all starts with a good night’s sleep. According to a 2005 National Institutes of Health consensus statement, 30% of Americans suffer from disrupted sleep and 10% suffer from daytime impairment or sleepiness (consistent with insomnia). More recently, the 2009 National Sleep Foundation poll reports that 1 out of 4 workers with a sleep problem is unable to work well and efficiently due to sleepiness. Addressing detection, diagnosis and treatment of sleep issues to counter the lack of productivity is critical, especially when results from a study conducted among four U.S. corporations report that fatigue related to a drop in productivity costing those companies an astounding $2,967/employee annually! 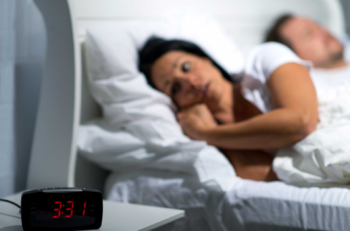 Get your workforce screened and treated for sleep disorders. For more information on how to keep your employees alert and productive, contact us via the form below, or call us today at (913) 203-4040.